Restaurant aggregators like FoodPanda, Honestbee and other deliver services cut into your profit margins. You need your own restaurant mobile app. Here’s why. Do you love being able to offer your customers convenient online delivery, but hate giving too much of your profits to businesses like FoodPanda and Honestbee? If so, you’ll be happy to hear about a simple solution that will improve your business, branding, and customer loyalty. All you need is your own restaurant mobile app. With your own app, you’ll have complete control and the ability to keep all of the earnings. Want to know more about mobile apps for restaurants and how to start your own? Keep reading. We’ll review the top five reasons why you need your own mobile app. Your company’s brand matters. And the more ways in which you can introduce the public to that brand, the better. Restaurant apps are a great way to increase your brand awareness. Just make sure that your app interface is visually pleasing and easy for consumers to connect to your other branding efforts (signage, logos, website, etc.). Restaurant mobile applications are an excellent way to increase your profits. By cutting out the middleman, you’ll keep all of your hard-earned cash instead of shelling out for service charges. Is your restaurant attracting customers of all ages and demographics? If not, or if you have room to grow in this area, a restaurant app can help. An app is a great way to bring in a younger client base. After all, it’s no secret that Millennials love online shopping. Use your restaurant’s mobile app to appeal to every generation. Not only will customers enjoy your restaurant because of its convenient ordering methods, but you can also snag their devotion in another way: loyalty rewards programs. These marketing schemes are the perfect way to bolster your business and show your clients some love. Think of it as a punch card, but virtual. 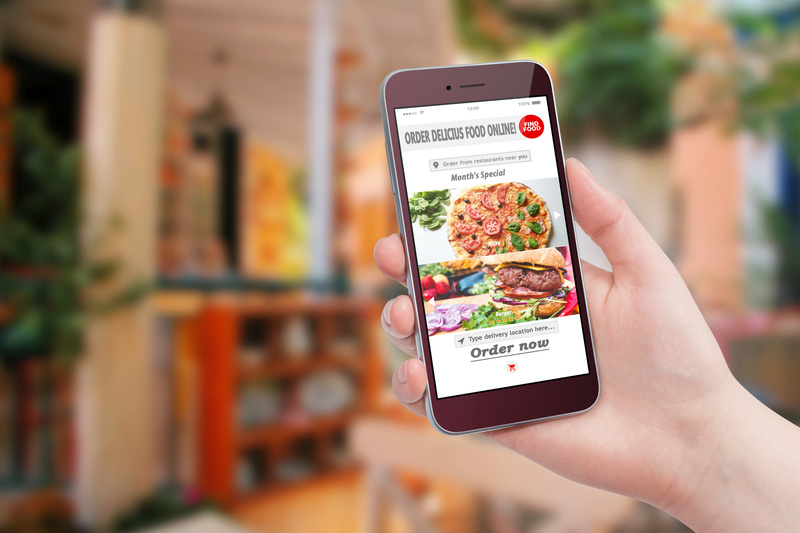 Each time a customer orders from your restaurant using the mobile app, they’ll get closer to receiving the reward of your choice. Loyalty programs provide an incentive for customers to order from your restaurant time and time again. After all, everyone loves free stuff! By building your app with a trusted company that specializes in hospitality applications, you can give your customers a clear and simple ordering experience. Mobile restaurant apps also present customers with a way to get in touch regarding order errors and other issues. A restaurant mobile app is the best way to provide excellent service to your customers without shelling out to a middleman. After all, there’s no point in losing money with services like FoodPanda and Uber Eats when you can keep one hundred percent of the profits yourself! With a mobile app, you’ll provide your customers with improved service, broaden your client demographic, and sharpen your brand. This will help you make more money and more people happy. If you have any questions or would like to know more about building an app for your restaurant, feel free to contact us. We’re here to help.